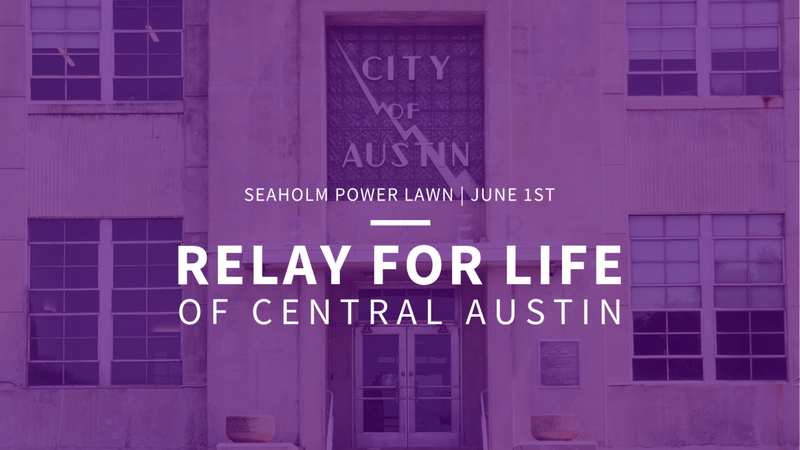 Please join us at the American Cancer Society’s Relay For Life of Central Austin event on Saturday, June 1st from 4pm-10pm at Seaholm Lawn. The community fundraising event is dedicated to fighting cancer as participants walk around a track and gather together to enjoy live music, food, drinks, games, activities, and remember and honor those who have battled cancer. Musical performances by local Austin artists, Automatic Weekend, Reen and the Renegades, and FlecHaus. Activities include yoga, yard games, a silent auction, and much more! 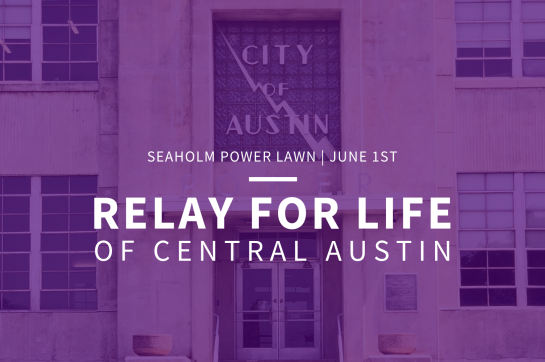 You can register your fundraising team at : www.relayforlife.org/centralaustintx, or purchase tickets at: www.relayliveaustin.org. With your support, help the American Cancer Society saves lives, celebrates lives, and lead the fight for a world without cancer.